Vodafone plans to ultimately migrate its entire TV base to the single cloud-based Vodafone TV platform, beginning with new subscribers in greenfield markets, followed by existing subscribers with a basic TV service, Nuno Sanches, group head of fixed development, Vodafone, told a gathering of cable technologists in London this morning. Vodafone has now launched TV services in five markets and is planning to move “every other Vodafone product to this platform in coming years and have a single product,” he said. Moving new subscribers to the platform is the first priority for the company, said Sanches. Migrating customers with basic services to more advanced services is the second priority. Sanches said that operators had struggled to build a value proposition that customers appreciated. Vodafone had lagged on user satisfaction and struggled on subscriber acquisition as a result. “Cloud TV is one of the key tools….that allows us to focus on the value proposition,” he said. That value proposition is centred on delivering a superior user experience that matched consumers’ experience on mobile. Differentiating by content would be “a cash flow negative” strategy for Vodafone, which had instead decided “to bring the smartphone experience to TV”. Sanches said that the operator had built a combination of the best of what pay TV has to offer with “best of the SVODs”. 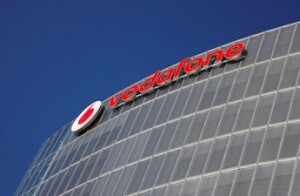 Vodafone decided to “build from the ground up with best of breed” technologies, said Sanches. It had decided to build a cloud-based OTT-centric platform four and a half years ago. “This allowed us to build a great OTT product from the start,” he said. Sanches added that the company had adopted a common platform with common set-tops where it was cheaper to deploy boxes than not deploying boxes. “In most networks it will be cheaper to do that, but in some markets it could be OTT only,” he said. “Our experience, though not devoid of pain…is that placing bets on things that tend to be difficult to do inside organisations…has been a winning proposition,” he said. He said the economics of having “everything cloud-based” were not there yet, but cloud recording had been a priority, with Vodafone now having moved away from hard drives.